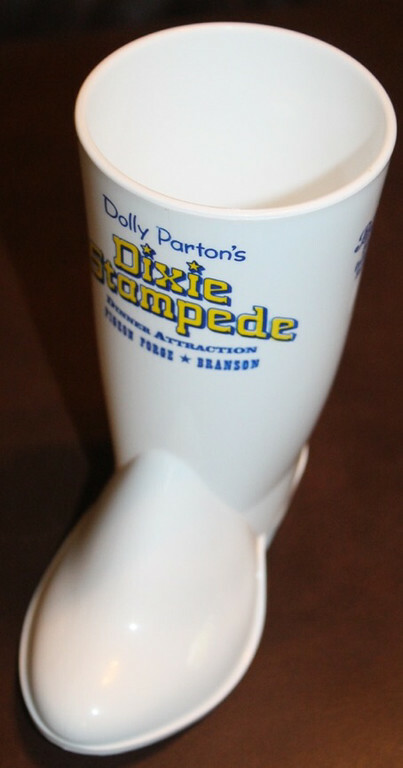 For years every time that we have gone to Branson, I have really wanted to go to the Dixie Stampede. This was our first time and I was just as excited as the kids. It was just as much fun as we had imagined. And the food was as plentiful as we had also imagined. Most of the kids did not enjoy eating with their fingers though and have requested that we bring utensils next time we go! Since this was a long awaited adventure, going to the Dixie Stampede, it was a must for an ornament. Robby ordered a drink at the pre-show because he knew that I needed an ornament!